The Kingdom of God: An Anglican Theology of the Kingdom of God in the Writing of F.D. Maurice and Its Influence in the Episcopal Church through the Ministry of the Rt. Rev. Chauncey Brewster and the Rt. Rev. Charles D. Williams. Thesis, The General Theological Seminary, 2006. In Catholicity Strength, or, The Basis of the Religion for the Present and the Future. A Sermon Preached before "The Southern Convocation" in Zion Church, Dobb's Ferry, New York, November 3rd, 1880. New York: no publisher, 1880. Address by the Right Reverend Chauncey B. Brewster, D.D., Bishop Coadjutor, before the Church Club of the Diocese of Connecticut, New Haven, November 16, 1897. New Haven, Connectictut: The Church Club, 1897. Aspects of Revelation: The Baldwin Lectures for 1900. The Church: One, Holy, Catholic Apostolic. From The Fundamentals of Christian Unity, being the Washington Churchman's League Lectures for MCMII. No place: "The Church Militant," 1902. The Catholic Ideal of the Church: An Essay toward Christian Unity. New York: T. Whittaker . 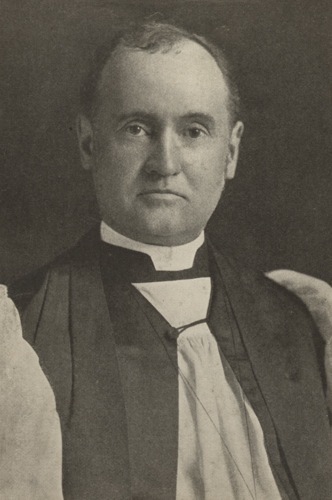 Sermon Delivered at the Opening of the Annual Convention of the Diocese of New York November 14th, 1906. New York: Printed by order of the Convention, 1906. The Kingdom of God and American Life. The Pulpit, Its Place and Function: Addresses to the Clergy of the Diocese, in Preparation for the Preaching Mission. New York and London: Longmans, Green, and Co., 1916. The First Bishop of Connecticut. Hartford, Connecticut: Church Missions Publishing, 1934.